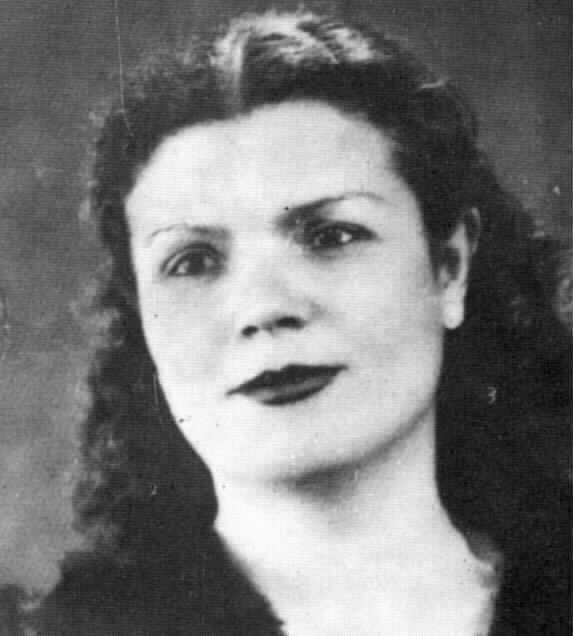 Born in Smyrna in 1918, the young Sofia Karivali and her family landed on the shores of mainland Greece along with million-plus refugees who lost their homeland in the 1922 Asia Minor Catastrophe. They settled in Kokkinia, the refugee community that sprang up at the edge of Pireaus. In 1936 Sofia, married by now, began her singing career. Both she and her husband made a trip to Crete, and the pair ended up working together, Sofia singing, her husband waitng on tables in a taverna. Retaining the Abatzi family name, her sister Rita Abatzi had already begun to make a name for herself with her accomplished renditions of dimotika and Smyrnaika-style rebetika. Although she made few recordings, Sofia spent a number of years singing with bouzoukia in Pireaus and performing dimotika. all over the Greek provinces In fact, she claims the distinction of being the very first woman to appear in public singing with bouzoukia, a bold step considering the low esteem in which the instrument, it's players, and the whole social context to which it belonged was held by 'respectable' people at the time. Although she stopped her public singing career in the 1940's, Sofia added a truly authentic touch to a 1988 TV documentary with a livley performance of Me planepses boemissa, accompanied by Yorgos Dalaras ['Music of the Outsiders: Rembetiko' made by Compass Film Productions for Channel 4 Ltd., UK].